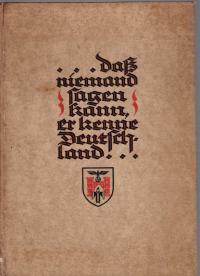 The photographs of this book have been provided by its present owner, Richard Maddison of Portsmouth, UK. 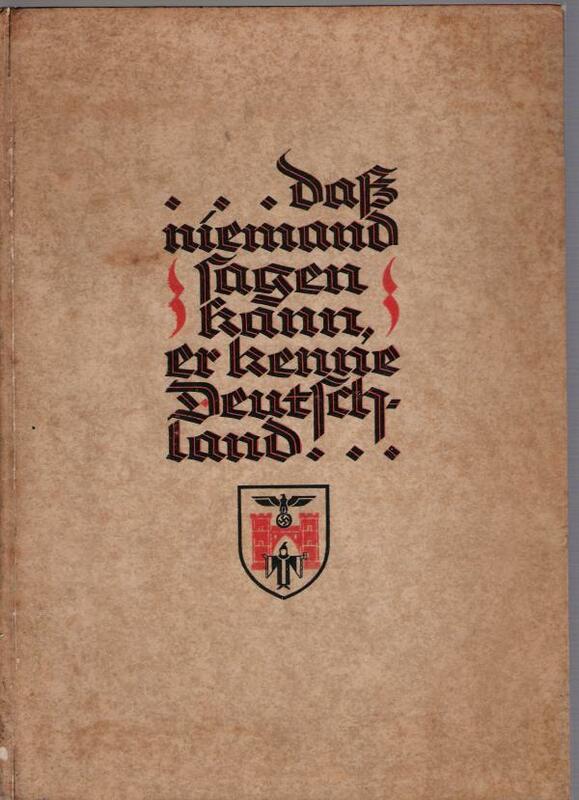 The front cover bears the German title "...daß niemand sagen kann, er kenne Deutschland..." ("...so that nobody can say that he knows Germany..."), but in fact it is an illustrated book in English about Munich published in 1939. At the time of Stalag VII A it was obviously in the possession of a British POW, Lieutenant G. G. Browell. 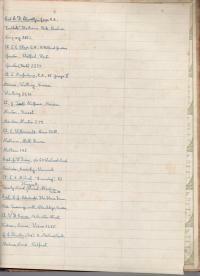 On the front endpaper Browell wrote his name, the POW camp and the barrack he lived in: "LT. G. G. BROWELL. / STALLAG 7 A. / BARRACK 6A." Barrack 6A was situated in the area for US and UK POWs north of the main street (see Stalag VII A map). 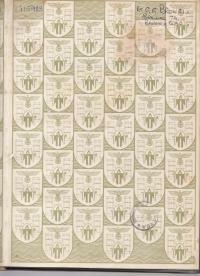 Below is the censorship stamp of Stalag VII A. 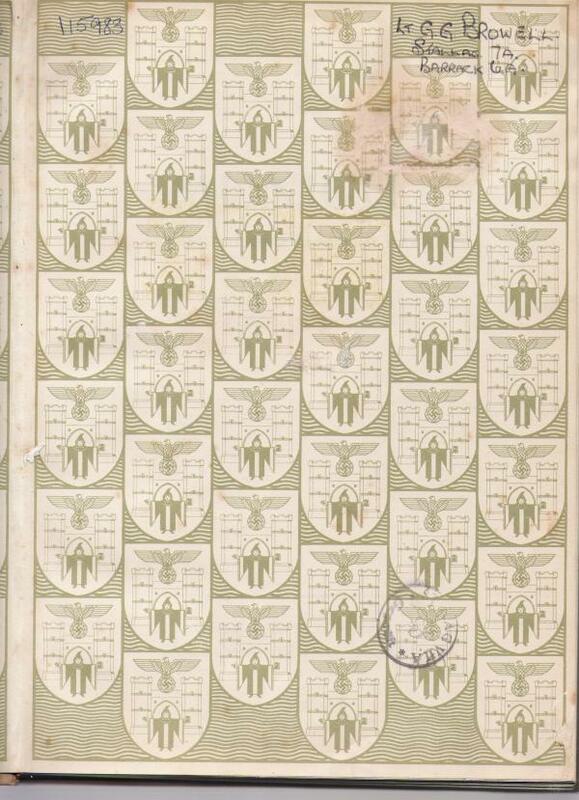 The endpaper is decorated with the Munich City Arms. 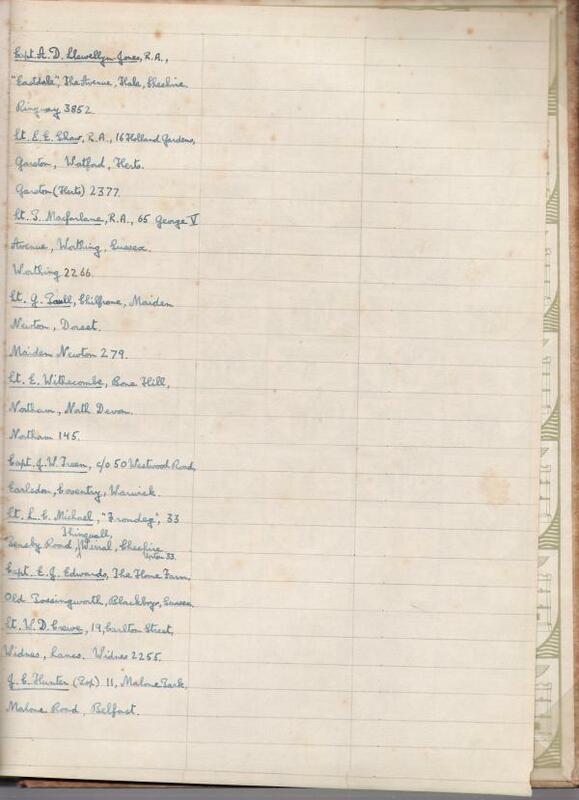 On the rear endpaper Lt. Browell noted the names and addresses of several fellow prisoners - possibly those who shared the same barrack. Lt. E. E.Shaw, R. A., Wtford, Herts. Capt. J. W. Treen, Coventry, Warwick. Lt W. D. Crewe, Widnes, Lancs. Last update 24 Mar 2004 by © WebTeam Moosburg - All rights reserved!